After refusing to receive Qatari money for Hamas employees in Gaza, Hamas has a new condition: no money, no calm. Hamas is again demanding money for salaries for its employees in Gaza at a sum of $20 million as a condition for restoring calm along the Gaza border, Kan 11 News reported on Monday. Israel recently allowed two installments of Qatari money which was meant for the salaries of Hamas employees in the enclave. It postponed the third installment in January, following the shooting of an IDF soldier by a terrorist from Gaza. Prime Minister Binyamin Netanyahu and the Security Cabinet subsequently approved the transfer of the third installment, but Hamas refused to accept the money “in response to the occupation policy”. The Qatari envoy subsequently announced his country will no longer fund salaries of Hamas employees in Gaza and would instead donate the remaining $60 million in aid mostly through United Nations programs. 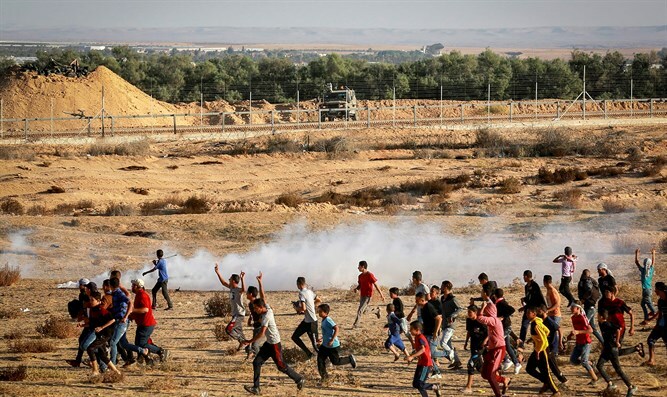 On Tuesday, an Egyptian delegation is due to arrive in Gaza to discuss with Hamas the efforts to stabilize the calm along the Gaza-Israel border.